Two experts from both sides of the Korean Peninsula, give their opinions on the prospects of improved relations between the two countries. Can the spirit of positive dialogue seen at the Pyeongchang Olympics continue to carry momentum? Or should there be a more cautious pursuit of rapprochement? Recent months have witnessed dramatic developments in inter-Korean relations. These have ranged from the participation of North Korea in the Pyeongchang Olympics and high-level shuttle diplomacy, to planning for a summit between the two leaders in April, which would represent the first such meeting in over a decade. Both sides have expressed optimism that the positive momentum can be sustained to deal with the thorny issues that remain in bilateral relations. Important questions arise, among others, as to how and why such a thaw in relations has been made possible? What are the opportunities and constraints in sustaining an improvement in relations between the two Koreas now that the Winter Olympics are over? And to what extent is the development of bilateral relations contingent on denuclearization and U.S.-DPRK relations? This paper presents the perspectives of two experts, from North and South Korea, respectively, to whom ISDP posed these questions. Both were Visiting Fellows to ISDP in March 2018. They write strictly in their own capacity and their opinions do not necessarily reflect the views of their governments. Jon Min Dok, Director of the Institute for Disarmament and Peace, DPRK, welcomes the recent developments in inter-Korean relations as a “new starting point for ensuring the peace on the Korean peninsula.” For this to be achieved, he argues the necessity of ending the military confrontation and finding a path towards “independent national reunification.” As such, he asserts that inter-Korean relations and dialogue should develop free from external, namely U.S., pressure and interference. In his essay, Hyeong Jung Park, Senior Research Fellow at the Korea Institute for National Unification, ROK, places greater emphasis on the motivations and dynamics behind the thaw in relations. While welcoming what he terms the “new game in rapprochement,” he cautions that there is still much work to be done by all parties to reduce the mistrust as well as the gap in perceptions and intentions. He argues, furthermore, that without progress on the nuclear issue and simultaneous movement in U.S.-DPRK relations, it will be hard to sustain a lasting thaw in inter-Korean relations. It should be noted that beyond providing a platform for debate, ISDP takes neither a position on, nor responsibility for, any of the arguments made in this paper. We remain committed, however, to illustrating a diversity of views and perspectives. We hope you enjoy your read. The world has recently witnessed many dramatic events on the Korean peninsula, where only just last year the danger of war and confrontation prevailed. The high-level talks between the north and the south started in January, which were followed by exchanges of high-level delegations and accompanied by various sports and cultural exchanges. Korean unification flags waved in the stadiums of the Winter Olympics and the vigorous joint cheers of north and south Koreans melted the frozen atmosphere of inter-Korean relations, leading to a desire for national reunification. The progress made at the Olympics is only the beginning of improved inter-Korean relations. As such, it is the sincere will of the whole world that the present atmosphere of dialogue and negotiations will, following the conclusion of the Winter Olympics, provide a good starting point which would lead to the permanent settlement of peace and security of the Korean peninsula. The DPRK’s will to safeguard peace on the Korean peninsula is definite and unwavering. Accordingly, the DPRK stands firm on its position to improve inter-Korean relations and find a new breakthrough towards independent national reunification, at the same time as safeguarding peace and security based on the historic victory achieved by completing its state nuclear forces. The respected Comrade Kim Jong Un, Chairman of the State Affairs Commission of the DPRK, stressed in his New Year’s Address of 2018 that the first thing to do for improving the state of frozen inter-Korean relations is to ease the acute military tensions between the north and the south, and create a peaceful environment on the Korean peninsula. The respected Comrade Kim Jong Un’s statement is based on his firm determination to safeguard peace and his noble love for the nation, and, in so doing, contributing to eliminating the military confrontation and distrust between the north and the south, preventing the catastrophe of a nuclear war instigated by outside forces, and to preserving the security of the Korean peninsula. 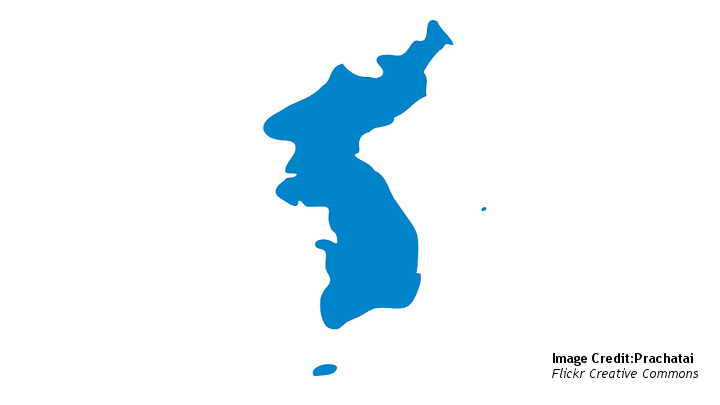 More than seventy years have passed since the forcible division of the Korean nation by foreign forces. The Korean nation has, for too long been exposed to the danger of war and suffered from national division. The persistence of the unstable situation, which can be characterized as neither war nor peace, benefits neither the north nor the south. Amidst the high military tensions, the two sides can neither remove mutual misunderstanding and distrust, nor can they advance straight ahead towards the goal of national reunification. Such a situation, as the complex history of inter-Korean relations shows, leads only to a continuous vicious cycle of confrontation. It is necessary to put an end to the extremely acute state of military confrontation and find a way-out that can lead to independent national reunification. It is the DPRK’s consistent position and will to thwart the aggressive maneuvers of outside forces and ensure the security of the Korean nation and the peace of the country. The recent developments of the situation clearly show the sincerity and steadfastness of the DPRK’s determination to safeguard the peace. The rehabilitation of the hotline between the north and the south, the north-south high- level talks, the participation at the opening ceremony of the Winter Olympics by the DPRK delegation headed by Mr. Kim Yong Nam, President of the Presidium of the Supreme People’s Assembly, the joint march by the north-south athletes under one flag, and the congratulatory art performance of the Samjiyon Orchestra – all of these represent dramatic developments in inter-Korean relations which were unthinkable until two months ago, and would have been impossible without the DPRK’s firm will and sincere efforts. It is important to recognize that inter-Korean relations are not a relationship between two different states; but that, rather, separated by outside forces, it is a special relationship underscored by a desire for national reunification. The Korean people are a homogenous nation with the same blood, who have lived for more than five thousand years on the same territory, and are natural partners for reconciliation and unity. Therefore, it was only natural for us to share in the joy and help south Korea to successfully stage the Winter Olympics. Indeed, this was an extension of the DPRK’s consistent policy of national reunification, which directs and subordinates all the issues arising between the north and the south to national reconciliation and unity. It is incumbent on the international community to encourage the process of ensuring the peace and security of the Korean peninsula. On January 31, the DPRK Foreign Minister sent a letter to the UN Secretary General with the request that the UN Security Council, in line with Rule 6 Chapter 2 of the UNSC Rules of Procedure, take up the issue of welcoming the process of improved inter-Korean relations and discouraging neighboring countries from disturbing the process. Inter-Korean relations are a national issue which the north and the south should resolve independently free from external influence. Only then can issues relating to inter-Korean relations and national reunification be fully resolved in keeping with the desire and demand of the nation. In line with this, the international community should give full support to the DPRK’s proposals and initiatives for improving inter-Korean relations and creating a peaceful environment on the Korean peninsula. Owing to the DPRK’s proactive proposal, the north and the south have held high-level talks in Panmunjom and took an important step to improve mutual relations. During the talks, the authorities of the north and south discussed in earnest the issues related to the successful holding of the 23rd Winter Olympics and the improvement of inter-Korean relations. The north and the south have also agreed to make concerted efforts to ease the military tensions, create a peaceful environment on the Korean peninsula, promote national reconciliation and unity by invigorating contacts and travels, facilitate exchange and cooperation in various fields, and solve all the problems arising in inter-Korean relations through dialogue and negotiations on the principle of By Our Nation itself. It is important for the international community to cherish this new seed and cultivate it with great care to produce fruitful progress. The international community should also respect the past agreements achieved by the north and the south, and encourage the independent development of inter-Korean relations. When the June 15 Joint Declaration and October 4 Declaration were adopted at the two previous inter-Korean summits in 2000 and 2007, the whole world including the EU and UN gave their support and welcome. Complying with one side’s unilateral request which has not been agreed by both north and south is itself an intervention in our own nation’s issue and an act aimed at obstructing national reunification. If the international community is to play a fair and positive role in improving inter-Korean relations, they should support only those initiatives which provide a basis for the co-existence and co-prosperity of the north and the south. Furthermore, the international community should support only the formula of reunification agreed by the north and the south so that they can achieve reunification independently and peacefully in keeping with the demand and desire of the Korean nation. In so doing, however, the international community should turn a keen eye to U.S. moves to aggravate the situation on the Korean peninsula, and oppose them categorically. If Sweden and other European countries are really interested in improving inter-Korean relations, they should pay utmost attention to creating a peaceful environment, which is a prerequisite for improved relations. The international community should not blindly side with the U.S. hostile policy towards the DPRK, but instead check any U.S. moves designed to aggravate the situation in the region, and encourage the north and the south to hold dialogue and improve relations under peaceful circumstances. The DPRK, as a responsible, peace-loving nuclear power, will safeguard regional peace and security reliably with its powerful self-defensive nuclear deterrent, and continue to make positive efforts to produce good results by further energizing the warm climate of reconciliation and dialogue created by the momentum of détente at the Winter Olympics. Towards the end of 2017, amid heightening tensions, it seemed indisputable that the Korean peninsula was braced for war in 2018. The odds on such occurring were dramatically slashed according to prominent pundits in the U.S.. Editorials in the South Korean media, meanwhile, warned of an impending “March Crisis”: as North Korea was expected to overcome the last technical hurdle of demonstrating a re-entry vehicle for its inter-continental ballistic missile, so fears rose that the U.S. would launch a preemptive strike beforehand. Apparently, the atmosphere was not so different in North Korea. “More than any previous time, North Korea was galvanizing its people to expect a nuclear war with the United States,” reported The New York Times in October. In what few could have predicted, the fear of war, which had felt so real until the end of last year, has gradually evaporated since the beginning of the New Year. Instead the two Koreas entered a thaw in relations through cooperation on the successful staging of the Pyeongchang Olympics. Plans are underway not only to hold an inter-Korean summit in April, but also one between the U.S. and North Korea. The key question, however, is whether the inter-Korean thaw is sustainable? To answer this, it is first necessary to analyze the background motivations of the three parties, namely, North Korea, South Korea, and the U.S., which have enabled this thaw to occur. Second to clarify the conditions for its maintenance, and third, to present scenarios for future developments. North Korea’s shift in policy from outright confrontation to one of cautiously probing of ways for rapprochement has been instrumental. This in turn has been prompted by several factors which are important to consider. The first is that prior to this year, Kim Jong Un was squarely focused on North Korea’s acceleration of nuclear and missile development – provocations which pushed the situation to the brink of nuclear war. Having declared the “completion of the national nuclear force” in November 2017, significantly he did so without having displayed the proven capacity of possessing the re-entry vehicle technology needed for the successful firing of an ICBM. In other words, North Korea stopped just short of the red line which could provoke an American preemptive military strike. This could be interpreted as a “concession” for facilitating talks with the U.S., but also as a threat to resume development, in case talks failed. Nevertheless, the advances in North Korea’s nuclear and missile technology, and its increased self-confidence as a result, would appear to have emboldened Kim Jong Un to probe the possibilities and the terms of bargaining with the U.S. and South Korea. Secondly, the change to a liberal administration in South Korea under Moon Jae-in in May 2017, also coincidentally opened the door for North Korea to probe rapprochement. While North Korea, according to its completion of its nuclear forces, may also have reached out to a conservative South Korea administration, it is highly likely that the pace of progress and expansion in inter-Korean rapprochement both during and since the Pyeongchang Olympics would not have been the same. Opportune timing aside, it is obvious that the considerable pressure on North Korea has also contributed to it coming to the dialogue table. This includes having come to a more “realistic” assessment of the U.S. resolve against its nuclear development. In 2017, the U.S. significantly ramped up its military shows of force on the Korean Peninsula, while President Trump engaged in extreme verbal threats including to “totally destroy North Korea.” Other high-profile U.S. officials also touted the prospect of a preemptive military strike. The increased pressure of ever strengthening international economic sanctions against North Korea must have also prompted North Korea’s rethinking in its policy. This is most frequently cited as the most decisive factor for North Korea’s shift in policy and often attributed as proving the effectiveness of Trump’s policy of “maximum pressure.” While this is likely exaggerated, sustaining the continued bite of sanctions in years ahead must have weighed on Pyongyang’s mind. It must, therefore, have calculated that it was better to try sooner rather than later, from a position of relative strength, to find a settlement with its adversaries. Finally, more active Chinese cooperation with the U.S. in 2017, in terms of sanctions implementation, as well as not-so-secret consultation on how to manage crisis in case of war, would have affected North Korea’s calculus. Continued missile and nuclear testing would have exacerbated Beijing’s anger, and so North Korea needed to try and placate Chinese concerns before it took even more punitive steps. With all these developments, North Korea must have arrived at a juncture to reassess its fortunes between continuing outright confrontation, with the real risk of provoking war, or to engage in a policy of cautiously testing the possibilities of a de-escalation of tensions. In so doing, it has seemingly made a number of concessions including a “commitment to denuclearization,” a freeze on nuclear and missile tests, and “tolerating” the resumption of U.S.-ROK joint military exercises. Costing it little to make such verbal pledges, they have yet to be tested, however. South Korea and the U.S. Since its inauguration in May 2017, the heightened possibility of a war on the Korean peninsula has been the most serious concern for the Moon administration. It has tried to deescalate tensions, appealed to North Korea to return to the path of denuclearization, and made attempts to mediate talks between the U.S. and North Korea, while probing the two sides. The chance has come with the North Korea’s shift in its policy with the beginning of 2018. With this success, the Moon administration has become more confident and optimistic in its North Korea policy and in the prospects for deepening inter-Korean rapprochement. Though, as usual, the U.S. has been much more skeptical about North Korea’s sincerity, it has tacitly cooperated in favor of South Korea’s cautious pursuit of rapprochement with the North around the Pyeongchang Olympics. North Korea’s policy change towards probing its adversaries through a set of pretended concessions has in turn offered the U.S. a valuable opportunity to test North Korea’s sincerity. Mr. Trump seems to be confident that his policy of “maximum pressure” has led to North Korea backing down and wishes to sound out North Korea’s terms of bargaining personally through accepting a bilateral summit. Simultaneously, however, he has ratcheted up the ante through promoting hard-liners in his administration such as Mike Pompeo as Secretary of State and John Bolton as National Security Advisor. In sum, the thaw in relations has been enabled because the three parties have agreed, tacitly or explicitly, to play with the new game of rapprochement. But in better understanding the motivations of the parties, this also allows us to see the inherent constraints and opportunities ahead. Any conflict can be divided into two phases of confrontation and resolution. The inter-Korean thaw around Pyeongchang Olympics may turn out to be another episode in the continuing confrontation or, alternatively, an opening for resolution. If we stand at the opening of a process towards resolution, then the relevant parties must be realistic in terms of what can be achieved. Such realism must be based on each side accurately recognizing the strengths and weaknesses of its relative bargaining power. Furthermore, each party should be able to reduce its initial demands or find alternative ways to achieve win-win results, while distinguishing between its red-lines and what it is willing or able to make concessions on. In this way, a zone of bargaining and compromise is created. There is no guarantee, however, that such will arise. At the time of this writing, there are still significant doubts whether the current inter-Korean thaw will induce a resolution phase. The thaw is still too nascent and not deep enough to overcome what remains not only deep-rooted distrust, but also starkly different conceptions of what “denuclearization” entails between South Korea/U.S., on the one hand, and North Korea on the other. Ideally, the forthcoming bilateral North-South and U.S.-North Korea summits would have been preceded by a long process of “mutual testing” through unofficial and working-level dialogues. This could have contributed to narrowing the gaps between the parties. By fast-tracking this process and starting from the top-down, the risk of failure is higher as little has been worked out in terms of what the parties are willing to put on the table. In the end, it is progress on the issue of denuclearization, based on international agreement and compromise, and a parallel improvement of relations between the U.S. and North Korea, which holds the key to a sustainable thaw in inter-Korean relations. If progress is not made in this regard, the situation will at best be stalemated, or, at worst, return to a renewed, and probably even more dangerous, phase of confrontation. The Inter-Korean Military Agreement: Risk of War Diminished?